The idea behind customer retention emphasis is simple: there are only finite number of customers any given business can serve. But returning and loyal customers is what makes it possible for the business to perpetually make sales and stay profitable. If we may borrow Pareto’s principle, 80% of your sales come from only 20% of your customers. According to Invesp, just an increase of 5% in customer loyalty can lead to a 25%-100% increase in profit per customer, and on average, loyal customers are 10 times more valuable than first-time customers. Therefore, it is clear nothing beats customer loyalty and retention when it comes to guaranteeing business continuity. So how do you increase customer loyalty? Customer loyalty programmes are very effective when it comes to retaining customers. In a competitive market where customers can make snap decisions to switch their service providers or suppliers, customer retention programmes can make all the difference. For instance, Starbucks has a reward programme called My Starbucks Rewards which has significantly contributed to the coffee giant’s growth and profitability. According to an infographic released by Invesp on how loyalty programmes are influencing buying influencers, 69% of customers say that loyalty programmes influence their choice of retailer. They want to save money (57%) and receive rewards (37.5%). 50% of customers say they would change their behaviour to reach higher tier of customer loyalty programme. Consequently, 76% of customers believe that loyalty programme deepens their relationship with brands. This view is shared by 64% of retailers who view customer retention programmes as the best way to connect with customers. Sustained Customer Loyalty Programmes can see the average customer spend 67% more. This means that loyalty programs aren’t short-term customer retention strategies. 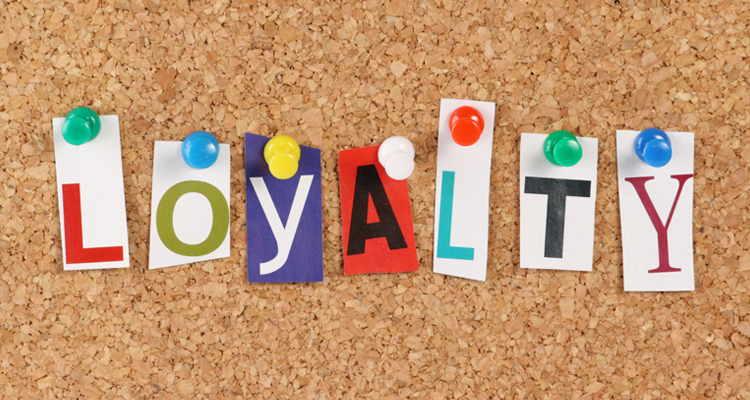 The longer the customer enjoys your loyalty programme the more likely that person will remain loyal to your brand. However, many brands say customer retention is their biggest obstacle. Customers are becoming more and more enlightened and choosy; they won’t settle for second-rate products even if that means switching companies. 66% of customers say they consider poor customer service as the main determinant when changing companies. So it is important to ensure you have excellent customer service as well as a great product. Brand recognition is also another important factor that increase customer loyalty. In other words, customer retention doesn’t just happen. You have to work hard for it. If you haven’t set up a loyalty programme then you are missing out on huge businesses because 83% of customers say loyalty programmes can influence them to make a buying decision. Almost any business can implement a loyalty programme. Although setting up reward programmes requires effort, it is worth it. Loyalty programmes can help improve your brand recognition, increase growth and improve customer service. Xexec works with organisations to help develop exciting and rewarding customer loyalty programmes with the goal of increasing customer retention and revenue.